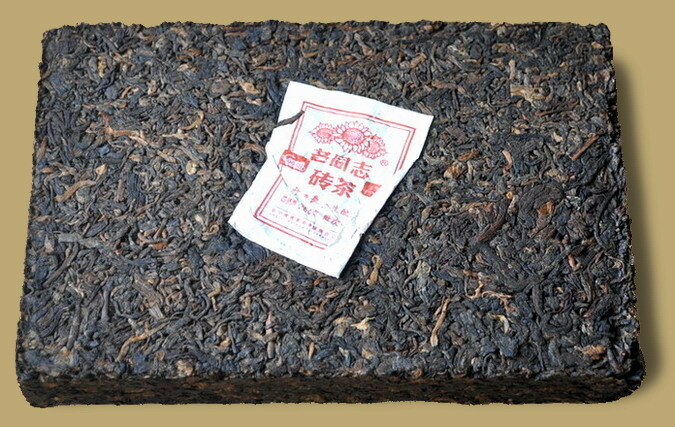 9988 is one recipe of the Haiwan 99 series products, the factory has selected large leaves from arbor tea trees for this ripe Pu-erh brick, prepared by Mr. Zhou Bing Liang, the prestigious Pu-erh tea expert who is in charge of the complete tea processing methods to guarantee a premium quality. 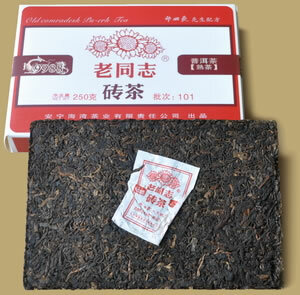 The tea brews up full bodied, with an agreeable mellow and rich flavor. 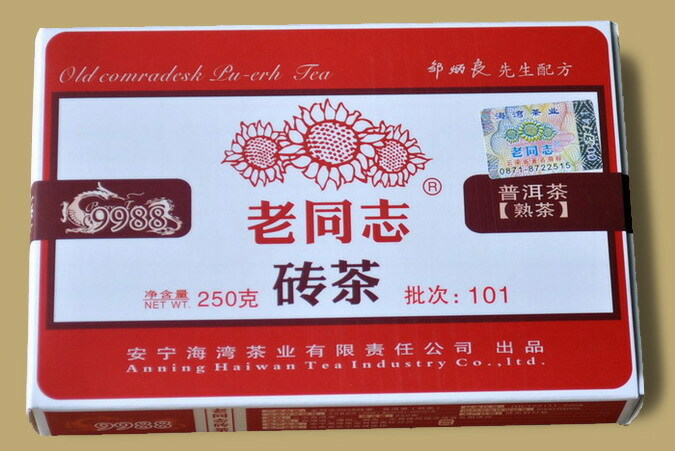 A perfect gift for you or a friend.